). Recently this work has been extended to the realm of emotions, using a very clever paradigm. 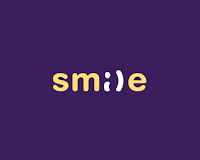 Francesco Foroni and Gun R. Semin (2009), two researchers from The Netherlands, examined whether reading verbs such as “to smile” or “to frown” would result in subtle smiles or frowns on the part of the reader. Movement of the facial muscles was measured using small electrodes (i.e., facial electromyography) as participants read action verbs pertaining to facial expressions or emotional adjectives (e.g., funny, annoying). For both sets of words, the muscles in the face appropriate for producing the corresponding facial expression were activated, but the effect was stronger for the action verbs. This is much in line with a previous finding that demonstrated similar responses in facial muscles when people looked at pictures of actual smiles and frowns (Dimberg et al., 2000). Foroni and Semin extended these results in a second experiment, designed to examine whether these tiny facial movements impact our judgments. If reading “to smile” produces a tiny smile on our face, do these motor movements play a role in how funny we perceive something to be? What if these motor movements were inhibited, would we still see an effect on judgments? The researchers again presented adjectives and action verbs, but this time they were presented subliminally (flashed so briefly that the participants were not aware of what was shown). After each flashed word, participants then read a cartoon and had to rate how funny they thought it was. Importantly, half of the people were asked to hold a pencil in their mouth while making these judgments, effectively preventing them from producing the tiny smiles and frowns seen in the first experiment. What the researchers found was that subliminally-presented action verbs, but not adjectives, affected how funny the participants rated the cartoons. But this only occurred when they were permitted to make the subtle facial movements (i.e., those who did not have to hold a pencil in their mouths). So, not only does reading some words result in tiny facial movements corresponding to the appropriate emotion, these tiny movements also affect our subsequent emotional judgements. This clever experiment seems much in line with the idea that while reading fiction we undergo an embodied simulation of experience that involves real emotions (e.g., Oatley, 1999). Dimberg, U., Thumberg, M., & Elmehed, K. (2000). Unconscious facial reactions to emotional facial expressions. Psychological Science, 11, 86­–89. Foroni, F., & Semin, G. R. (2009). Language that puts you in touch with your bodily feelings. Psychological Science, 20, 974–980. Oatley, K. (1999). Why fiction may be twice as true as fact: Fiction as cognitive and emotional simulation. Review of General Psychology, 3, 101–117.